Mother and kids are doing well. Both mother and father live with us as well as their beautiful son Silas. They are very social, have free characters are raised with children and other animals. and even showing they do with pleasure. One of our offspring lives in Italië, she is trained as a rescue and therapie dog. We are very proud! Are you curious about our dog’s and would like to meet them you you are welcome to visit us! 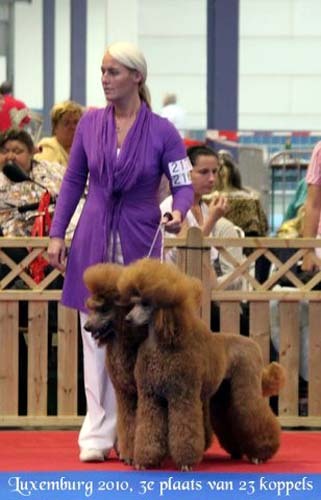 Puppies from us are bred according to the regulations of the Dutch Poodle Club and the F.C.I. 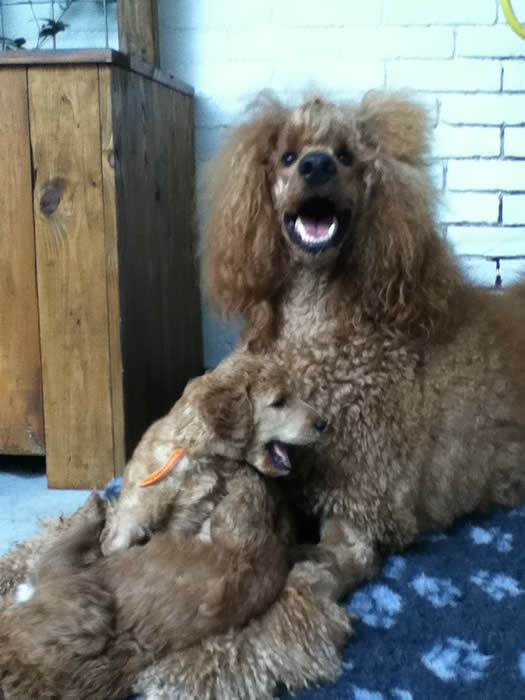 and we are also members of the Belgian Poodle Club. In breeding for us health and character are most important. Neonatale Encephalopathie (DNA) and Patella. 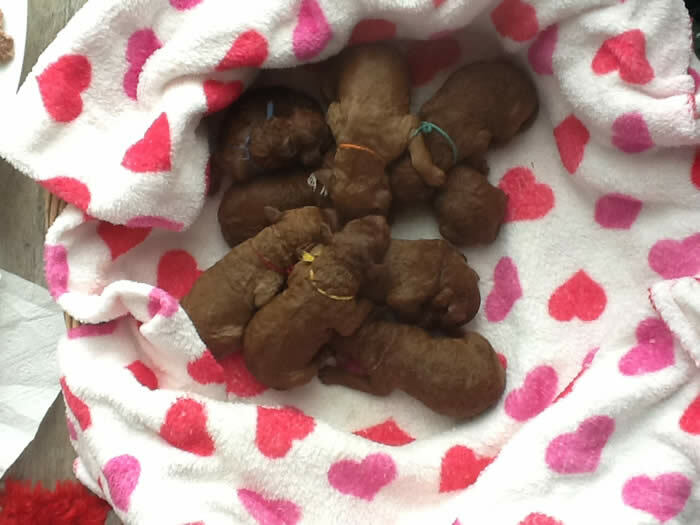 Our puppies are raised in our home and are very well socialised. European Animalpassport, pedigree and contract. Would you like to get more info? Please feel free to contact us for our litterplans!! Already four weeks old. Faces and feed are shaved. Regularly we have puppy visit. The pups wil be kids proof! Big brother Silas lends a hand in raising the pups.